Individual churches of Barnstaple may be members of Churches Together in Britain and Ireland, and one of the four national ecumenical organisations, through their national denomination or organisation. 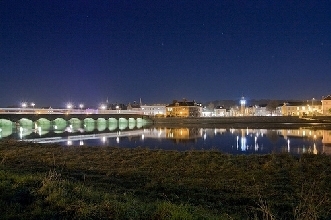 Welcome to Churches Together in Barnstaple Website. Discover how the churches in Barnstaple are sharing and working together. We hope you'll visit our forthcoming events and joint services. Freedom Social Projects is a Christian, charitable, not for profit company based in Barnstaple - North Devon. It is responsible for the management of a range of projects dealing with the care, education, relief of poverty, suffering and hardship of vulnerable client groups. We are a Christian charity and not for profit limited company. We seek to provide differing levels of supported accommodation for men and women who come from a homeless or broken background, who may have been addicted to drugs and/or alcohol. 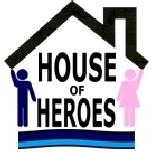 We also provide a support service "Heroes @ Home", for desperate family members, partners and children. In any event we really hope that we can help. The Bethany Project is a registered charity that provides support, accomodation, opportuity and hope for adults with complex needs wanting to recover their lives and achieve independence. We welcome clients with drug, alcohol and low level mental health needs. Barnstaple Street Pastors have been patrolling since October 2009. Our volunteers continue to provide a helpful prescence on the streets on Saturday nights, working in partnership with the Police, Council and voluntary groups. © Churches Together Barnstaple 2019. This website may use newsfeeds from and links to other websites: we accept no responsibility for their contents.